Apache Yarn is a tool for resource management and was introduced in Hadoop 2.x. Here are few best Apache Hadoop Yarn books to master Apache Hadoop Yarn. Apache Yarn is the short form of “Yet another Resource Negotiator” and was a key feature introduced in Hadoop 2. YARN is being considered as a large-scale, distributed operating system for big data applications. Basically, it is a cluster management technology. In Hadoop 1, both application management (data processing part) and resource management were taken care by MapReduce, but in Hadoop 2.x, resource management has been handled by YARN. 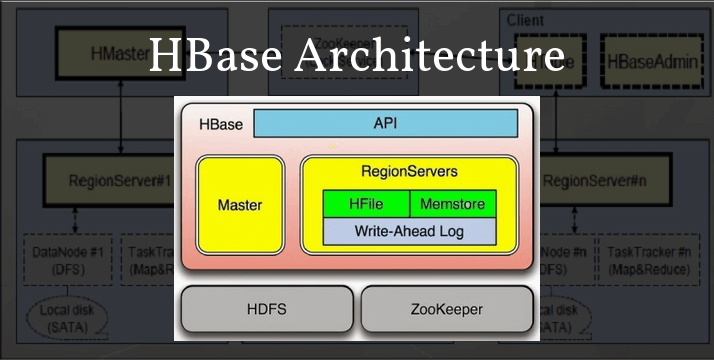 Here resource management means, managing the resources of the Hadoop cluster such as memory, CPU, etc. 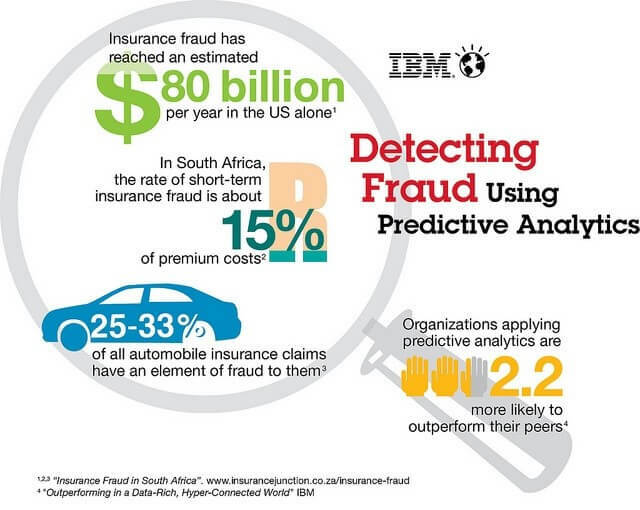 Efficient Utilization of Resources: Now multiple applications running in Hadoop can share the common resource. There is nothing like fixed slot. Run applications that don’t follow MapReduce Model: As Yarn has separated the application and cluster management and so it has enabled to support multiple and varied data processing. I hope so far you came to know about Yarn and how it was introduced in Hadoop2. 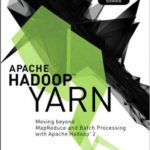 Let’s see some of the best Apache Hadoop Yarn books to master Yarn. If you are looking for the Hadoop books, you can check our list of Hadoop books for beginners. Here are some of the compiled list of Apache Hadoop Yarn books for your reference. Go through these books and master your proficiency in Yarn. Apache Hadoop YARN- Moving beyond MapReduce and Batch Processing with Apache Hadoop 2 is a complete Apache Hadoop Yarn book with examples you will need to master Yarn. It has all the required resources for administrators, developers, and power users of the Hadoop YARN framework. On Amazon, it has an average rating of 3.0 out of 5 based on the reviews provided by 16 users. The authors are well experienced and have published several other books as well. Overall this Apache Hadoop Yarn book has been designed to cover the basics to the advanced view of Yarn and Hadoop 2. I found this Apache Hadoop Yarn book highest rating so far on Amazon. Although it has been reviewed by just six buyers has an average rating of 4.8 out of 5 which is recommendable. Douglas is a well-known writer in data science and has crafted this Apache Yarn book very beautifully. 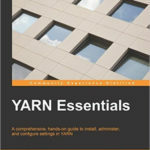 Yarn Essentials is a comprehensive, hands-on guide to installing, administer, and configure settings in YARN. 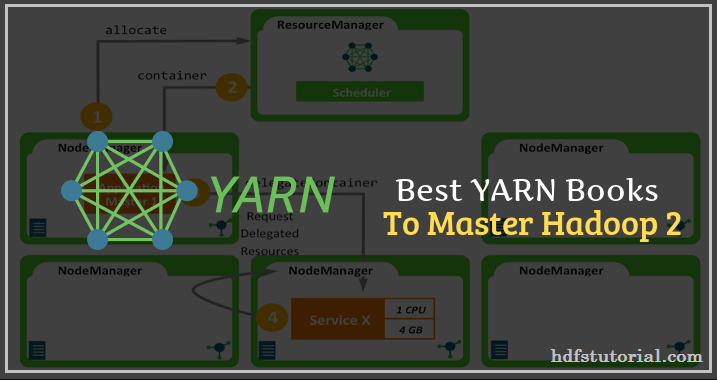 You can learn the inner workings of YARN and how its robust and generic framework enables optimal resource utilization across multiple applications. It is like a Yarn beginner book to learn Yarn as a step-by-step self-learning guide to help you perform optimal resource utilization in a cluster. Based on the five reviews it has received on Amazon, it has an average rating of 4.2. These were some of the best Apache Hadoop Yarn books. One should go through these Apache Yarn books to master Hadoop 2. I would suggest you start with any of these books and read & understand thoroughly to understand the resource management. Buy the Kindle edition from Amazon as it will cost you less and share your feedback with us. 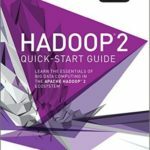 These are the best Apache Hadoop YARN books to master Yarn and Hadoop 2. Go through these books and work on the examples given.